We don’t usually post print ads, it’s simply impossible to get hold of all the print ads and candidates don’t usually post them on their websites. If we post just the ones available it will contradict with our goal of being fair, balanced and unbiased. 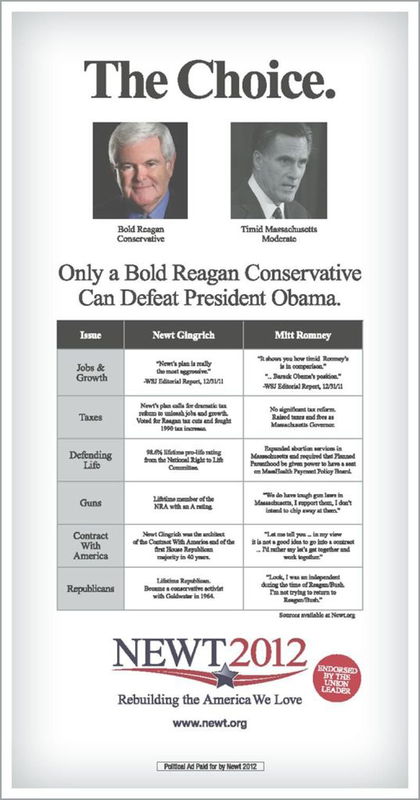 However this print ad, placed in the New Hampshire Union Leader by Newt Gingrich, has received much media attention so we make an exception as a service to our readers.